Among the most prevalent concerns of a regular business owner is client theft. However, there could be some situations that a businessman can also be worried about inside jobs, even when they have full trust in their workers. Realistically, one of the primary crime issues that business owners face is worker theft. For businessmen, setting up a business security system is extremely important. Security cameras allow you to monitor customers and your workers. Alternatively, your security cameras could also enable your workers to keep an eye on customers. It is crucial to record the activities that the security cameras obtain so that anytime your business has traces of theft; you could present the recorded videos or photos to court as solid evidence of possible suspects. Why Are Security Cameras Important? Another one of the reasons why it is very important to have security cameras set up is to prevent workers and other people from wrongfully, however intentionally, taking stored items or products in the warehouses. This particularly can give the businessperson more gains and no losses. It’s up to the businessperson if he would like to have visible or hidden security cameras set up at his workplace. Keep in mind that with a hidden security camera you will catch them doing things that they’re not supposed to be doing. There are many shop keepers who believe that hidden security cameras are an ideal choice, however for other business people, hidden cameras are not ideal especially in department stores or supermarkets. Hidden security cameras obviously are “hidden” so they cannot prevent crime from occurring because nobody knows that the hidden cameras are there. Hidden security cameras are great at capturing attempts of crime; however these are not the perfect devices for stopping them initially. For typical business people, what matters to them is avoidance of crime at their ventures. However, there’re some situations that a hidden security camera is the greatest choice particularly if a typical businessperson wishes to catch a suspect in the process. With the existence of fully noticeable security cameras, customers as well as workers will know that the devices are watching their moves. Fully visible security cameras have usually proved that they’re a great deterrent against robbery and shoplifting. One of the likely decisions that a business owner must make is always to buy both kinds of security cameras. 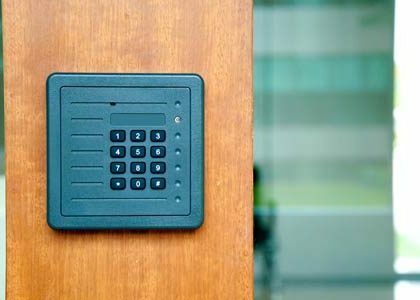 There’re some places that need completely visible security cameras like entrance door, the cashier counter, exit door as well as tight corners while hidden security cameras could be perfect in places like the businessperson’s office. For a prospering business enterprise, it is important to have a business surveillance system. 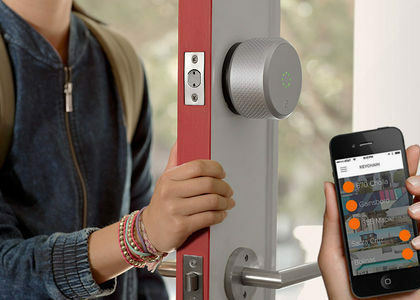 In fact, these devices are the only means to get some solid evidence on any burglar activity that could happen at the workplace. So in conclusion if you wish to have a comfortable fuzzy feeling about your business, you can then buy a business security camera so as to have the ability to know that your employees are doing all you ask them to do because there’s absolutely nothing worse than paying somebody while they steal your goods.